Star Wars: The Complete Saga Blu-ray box set is out. We know so because we've seen it. Of course, you might not have the cash to stump up the entire £60 just yet, you may hate the prequels or maybe you just haven't made it down to the shops. Whichever way it works, here's a little something to whet your appetite or perhaps fill the time once you've watched it until your player's burnt a hole in the discs. Because before Blu-ray, before even DVD, George Lucas invented R2-D2 and few people can quibble with the greatness of the little blue and white fella. He's broken through trade blockades, he's blown up the Death Star and now here' are 16 ways you can have him in your home. These are the best R2-D2 gadgets that money can (and sometimes can't) buy. When Pocket-lint reported that Verizon had officially announced the Motorola Droid 2, we also included the little golden nugget of info that there would be a limited edition R2-D2 version hitting the online store as well. Well, it all happened and the R2-D2 Droid 2 turned into one of the must have Star Wars gadgets of 2010. The back of the handset features the familiar white, silver and blue cameras of R2-D2 with the camera lens used to mimic the famous Naboo defence droid's eye. Sadly, it was only available to buy in September of that year, so if you're reading this, then you're probably too late to grab one via official channels. Life's not over if you missed out on the Droid 2. Those with an iPhone 4 can simply buy themselves some swish looking R2-D2 stickers with which to adorn their device. There's more than one source for them but this set is on Etsy for $10 plus postage from the States and they certainly look like the real deal. The great shame is that you used to be able to get all sorts of full body, rubberised Star Wars iPhone cases until the Star Wars online shop closed back in July. Nevermind. Oh, and those without an iPhone need not fret. There's another option, of sorts, on Etsy with a more generic style case; a touch more budget though, and, again, another for the Nintendo DS series. Astromech to the core, you can have a 19cm tall version of the blue and white guy sitting atop your desk turning one USB input into four to use as you will. The hub is compatible with Mac, PC and whatever other kind of operating system you choose, and it's set to make all sorts of the classic R2 bleeps and chirps every time you plug and unplug your cables from him. (Yes, you can turn this feature off when it begins to grate). The full measurements are 19 x 12.8 x 9.4cm and just 273g, and the good news is that there' are no batteries required - just a decent enough power supply for your machine not to collapse. Yours for £32.99. Back in 2007, Star Wars and the US Post Service hoped to give letters the power of The Force in America. To help 20th Century Fox celebrate the 30th anniversary of Star Wars, the US Post Service wheeled out post boxes decorated to look like the friendly robot R2-D2. He can repair X-wings, interface directly with the Death Star and now R2-D2 will also perform the equally important task of keeping your beverage chilled. This silicone rubber mould makes one large droid and four smaller ones that you can slip out easily enough when it's time to cool in the Cantina. Bit of a rarity, but dig deep enough and you'll find gold. Meet the R2-D2 speaker set currently featuring on eBay for the current princely sum of 99p, at least until the auction finishes. It's a two-droid set featuring R2's red doppelganger called R1-D2. Neither of the little guys are powered, so you're stuck with the output of your 3.5mm connection. We don't know what wattage you can get out of them. Don't expect much. In fact, the only features listed are the fact that they have flip-top heads. What we can tell you is that the set retailed for $40 when it was available, so we're willing to bet the winner of the auction picks themselves up a bargain. The Operation Star Wars R2-D2 Edition just seems like the perfect fit. We mean, we loved Operation when we were younger, but always found it a bit weird poking around the innards of a naked man. So, re-working a robot is a much more acceptable premise - and R2-D2 is possibly the most famous robot ever so he's the perfect patient. "The Rebel Alliance’s favourite astromech droid has developed all sorts of mechanical maladies, and it’s up to your skilful surgical hands to get the little guy feeling right again," reads the official description. And don't mess up - just look at C-3PO's concerned face. You wouldn't want to worry him anymore. £23.99. OK. We'll put you out of your misery now. You cannot buy this any more. It's not available and there are none left. The R2-D2 projector was an officially licensed smash hit as revealed at CES 2008 in Las Vegas. Amusingly hyped by manufacturer Nikko as "The new Force in home electronics" this particular RT-unit was on sale for a cool $2,500 and in very small numbers. The size of a small child, it featured a 80-inch throw projector, a DVD player, an iPod docking station, memory card and USB slots, built-in speakers and also had the ability to run around your home via the wireless remote. Bags of fun if you can get one second hand, it even screamed at you if you interrupted the projector beam. Not to be confused with the limited edition gadget of fame above, the R2-D2 we're talking about now is also a projector but there's only one thing it projects and that's the time. This fully-licensed version of everyone's favourite droid projects the time and date in bright red digits onto walls and ceilings at the touch of a button and beeps while he's at it. Sure it's not quite as exciting as a limited edition DVD player but you can still buy the thing which is a considerable bonus. It's also in no danger of breaking the bank balance at £21.49. With the weather we have in the UK, a barbecue is generally an occasion for dads to stand around in a light drizzle in the back yard prodding barely lit charcoal. However, with the glorious sunshine in the States, it's an altogether different thing. They're very proud of their barbecues over there and rightly so when you look like this. Now, the the 55 gallon Ugly Drum Smoker is a mighty meat massacring cylinder that generally lives up to its name quite nicely. It's a brilliant way to char chicken wings, but won't exactly light up the aesthetics of your garden. Unless you give it a paint job that is. And that's exactly what Star Wars fan and webmaster of TheForce.Net and Rebelscum.com, Philip Wise, did by converting his UDS into the spitting image of R2-D2. Sadly, it's a DIY job, so no chance to buy online but Wise may give you a few pointers if you head his way. Again, not one that's available in the shops but we're not sure you'd have space for it in your back yard this time. This is a picture of the observatory at Carlton College in the US some time in June 2010. Any alumni of the Minnesota academic centre would be forgiven for not recognising it after, presumably, some students decided that they'd dress it up as R2-D2. All of it was done with a series of drapes and decorations - so without any actual defacing of what was already there - and it even made all the noises too. Take a look at the sideways video if you don't believe us. Another use for R2 based on his cylindrical shape is the R2-D2 rubbish bin. It's perhaps not the way the little droid would most like to be positioned, but he actually makes a rather good piece of household sanitary kit. At 52 x 22 x 36cm, this Japan-only collectable isn't too easy to find either and you'll have to do your best to track one down. If you can, you'll be looking at just over £100 for the privilege of sharing your abode with a genuine member of the Rebel Alliance. R2 comes as a standard pedal bin with his middle foot the one you stand on to make his head flip open to reveal the removable vinyl part inside. You know. Like a bin, only dressed up. As part of a whole range of audio gear, the official Star Wars merchandising arm - presumably the largest part of the whole operation these days - came up with a set modelled on our little blue and white friend. The good news is that they're actually available to buy these days at a fairly reasonable £34.99 if you head over to the right place. These on-ear headphones house a set of 40mm drivers with a frequency range of 20 Hz ~ 20 kHz, an impedance of 32 ± 15% ohms and a sensitivity of 114 dB at 1 kHz but you'll have to let us know if they actually sound good when push comes to shove. Is it a gadget? No, but that doesn't stop the R2-D2 swimming costume becoming our favourite on this list and a musthave for any self-respecting Stars Wars fangirl. Available from Australian e-retailers Black Milk, this Star Wars inspired bathing suit will set you back about £54, but hey, this is a high-quality garment we're talking about here. It's got see-through prevention, UV blocking, UPF 50+ sun protection and is made of branded Lycra. Owing to "extremely high demand", there's a 2-3 week wait on them at the moment. We can also imagine the reactions of thousands of Star Wars widows when they wake up to one of these on Christmas morning. Still, at least it will give the Princess Leia routine a break. It might not be a bathing suit but at least the R2-D2 beanie has a more universal appeal. Indeed this hand-stitched (you never guessed, right?) 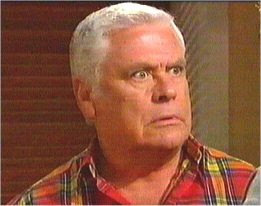 item from Etsy can be made up in any size ranging from Newborn all the way to fitting Lou Carpenter's head. With winter coming up, this acrylic yarn-crocheted bonce warmer is perhaps the most useful choice on the list and you'll receive it around 2 weeks after you pay which isn't so bad given it's hand made. The hat'll cost you around $20 with postage depending on how far from North America you happen to live. If you don't wear swim suits and you don't wear hats, then the final hope for you is the all-person, all-encompassing R2-D2 t-shirt. There's a few different types out there but, again, it seems to be Etsy where you can find the best. Technically speaking, this particular one is for children but the beauty of Etsy and its community of crafty handmakers is that you can always ping them an e-mail and see if they'll knock you up something a bit special. The toddler one here is set at $14 plus postage but for full adult size, you might be looking at a little more. Also available in Stormtrooper and Vader. Do you know any other R2-D2 gadgets? Did you manage to bag one of the DVD projectors? Tell all in the comments below.